Wow! 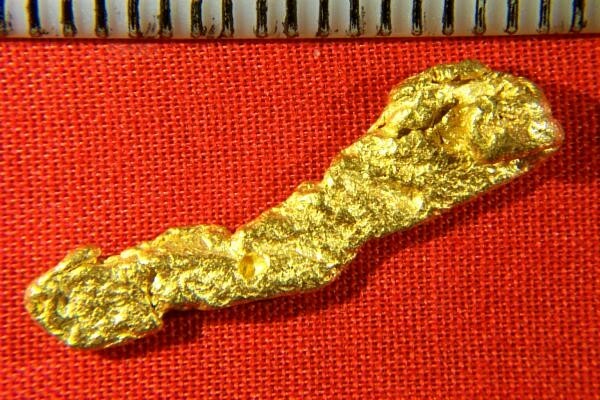 What a pretty Australian Natural Gold Nugget specimen. It has a very unique shape and it is very long at 1.12" (28 mm). It weighs in at 3.8 Grams (58.6 Grains). 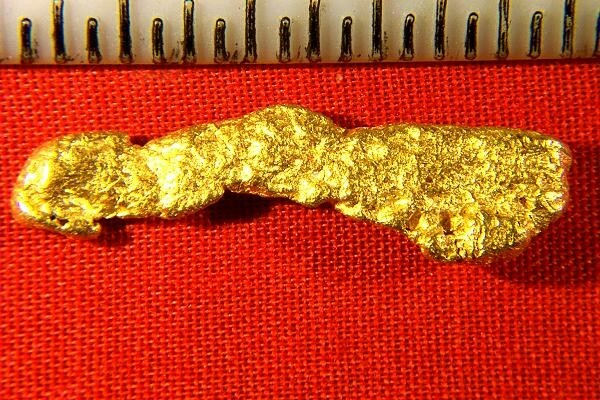 Australian Gold Nuggets are very pure and make a great investment and are highly prized by gold collectors, investors and jewelers.